Preparing for a home inspection is no big deal. Really. The home inspector is in your home not to tear it down but to give the potential buyer a realistic view of the home they are about to buy. Exactly the same thing you will do possible when you shop for your new home. Preparing for the inspection is like preparing to have a noisy relative come stay for the day. Well, OK maybe not exactly like that but close. First, put away in drawers or boxes any documents or personal items you do not want found or viewed. As a home inspector, I do not look in personal spaces such as dresser drawers or in personal items. Its your space and stuff. None of my business. 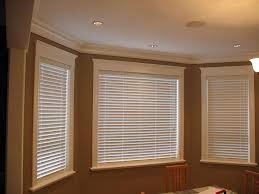 Second, if its possible open all blinds and shades and move them up and out of the way of the windows. I will not inspect a window with a heavy blind installed in front as frequently these can break when moved up. Third, replace all burnt out bulbs prior to the inspector showing up. If I find a fixture not working it gets written up as failure to function, check bulb. Why put a question in the buyers mind and mine. Fourth, remove personal items from in front of doors and windows where possible. I am very careful to protect your stuff when I inspect. If I think I cant move it without possibly damaging it I will not. 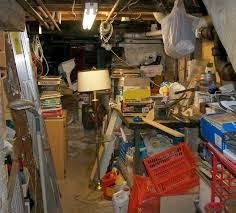 This means again an item or structure of the home will not get inspected. Too many of these items and it looks like something is trying to be hidden. Fifth, clean out your attic so it can be moved around in. An important part of a home inspection is viewing the roof and framing from the attic. If I cant get past your Christmas decorations I can’t do my job. Next, have a odd switch or outlet? Something you had installed for your convenience. No big deal just let someone know. I spend a lot of time tracking down switches that seem to have nothing to do with the room they are installed in. Seventh, if you enjoy scented candles or room fresheners please remove them the night before. I try to use all senses in my inspection and smell is a part of that. Scented fresheners can block out any clues as to what may or may not be going on. Last, the inspection is not an attack on your castle. Its not personal. Its only a review. Please let us do our job. If you are looking for a experienced home inspection company in SW Florida please call HomeSpec Certified Inspections, Inc. Todd Miller, the owner, is a Certified Master Inspector. Charles Miller is a Certified Professional Inspector. We both go to the home and inspect for you.